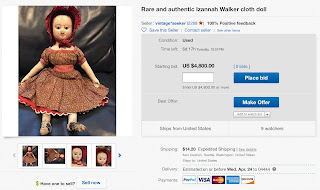 A 17" Izannah Walker doll has been listed on EBay. 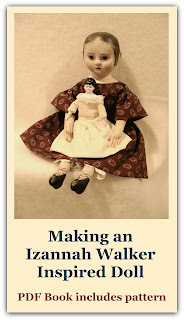 How Was Izannah Walker Influenced by Other Types of Dolls? 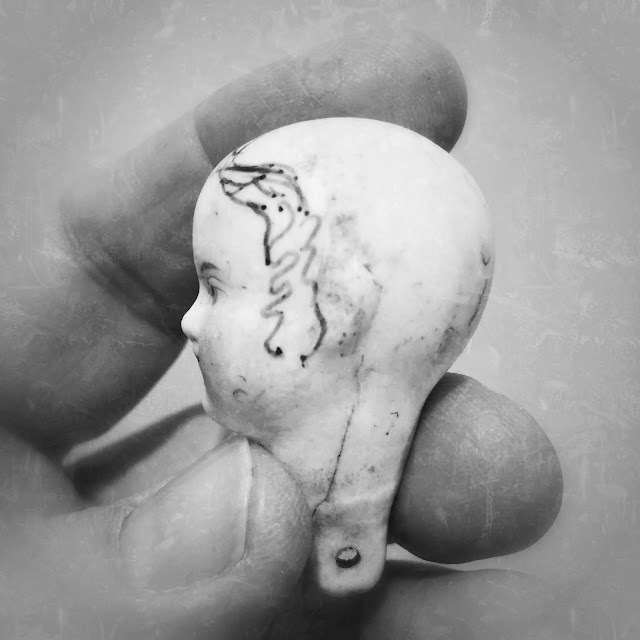 Recently I was looking in my workroom and found a little box of china heads I had purchased on EBay some years back. I purchased the group lot because one head in particular reminded me of a particular Izannah doll I had studied closely when it was at Lucy's Doll House. 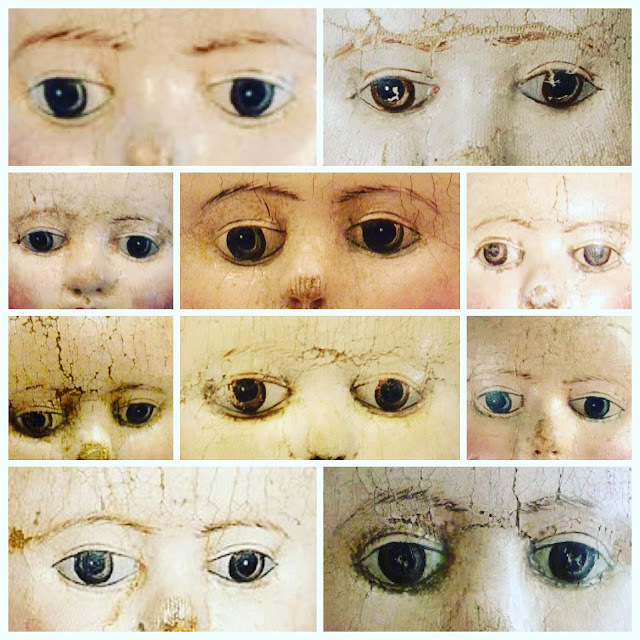 When I pulled the little China head out to study it again I was struck by the similarity again. 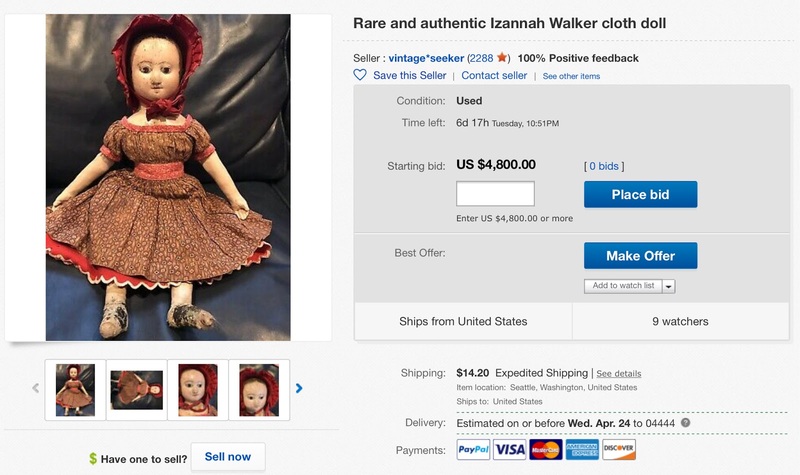 I wondered if Izannah used China dolls as her models for some of her dolls? We know that she set out to make a softer doll that wouldn't hurt a child if she fell on it, as could have happened with china dolls. This is mentioned in her patent. So I sent the question off to my friend Edyth O'Neill. 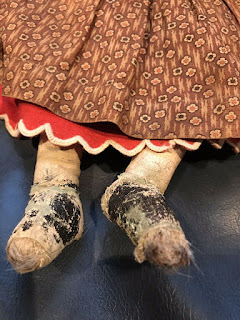 She has collected dolls for many decades and I knew she would have an interesting perespective. "If working from a generic child, we all have a common human starting place. 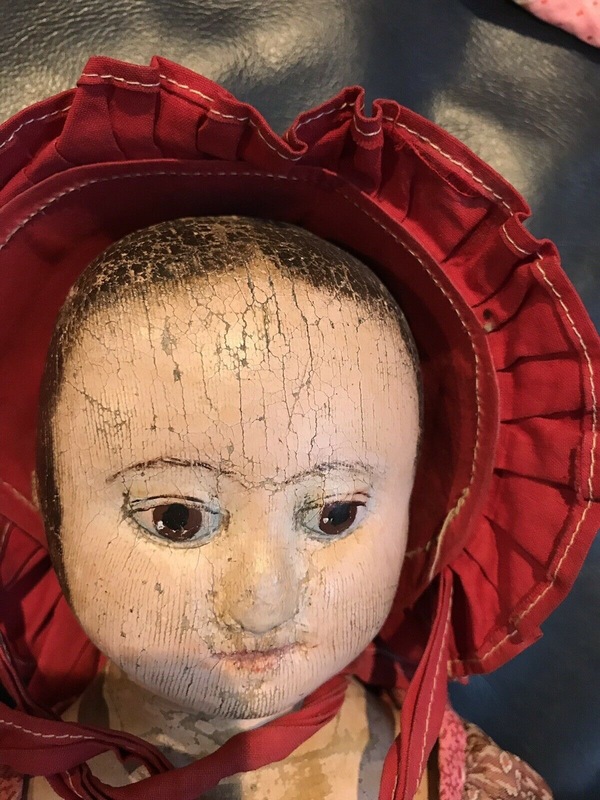 Germany being the doll maker for the world in the mid 19th century, German dolls surely would have been an influence on Izannah’s dolls. As we know Izannah was an inventor and a designer (of stoves!) 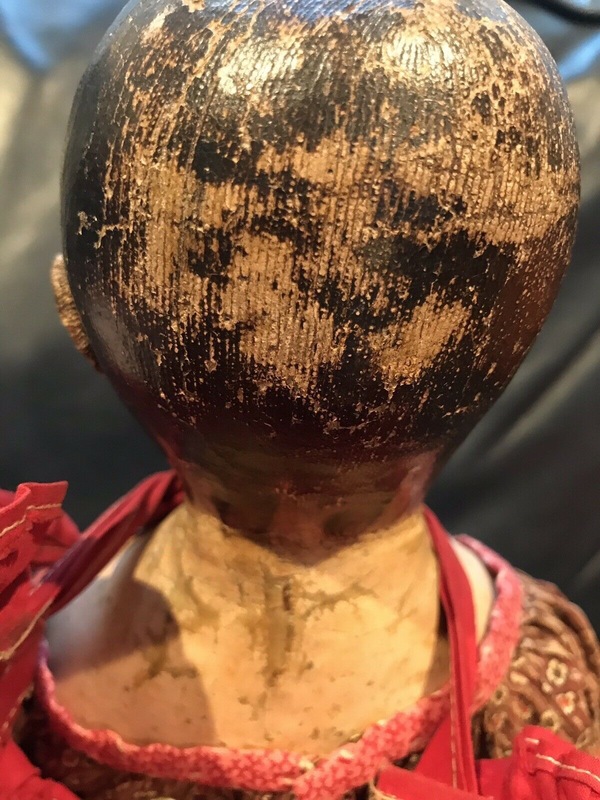 she certainly may have had basic sculpting skills if needed. How similar is the Ruben Bates mold? (not very to me). 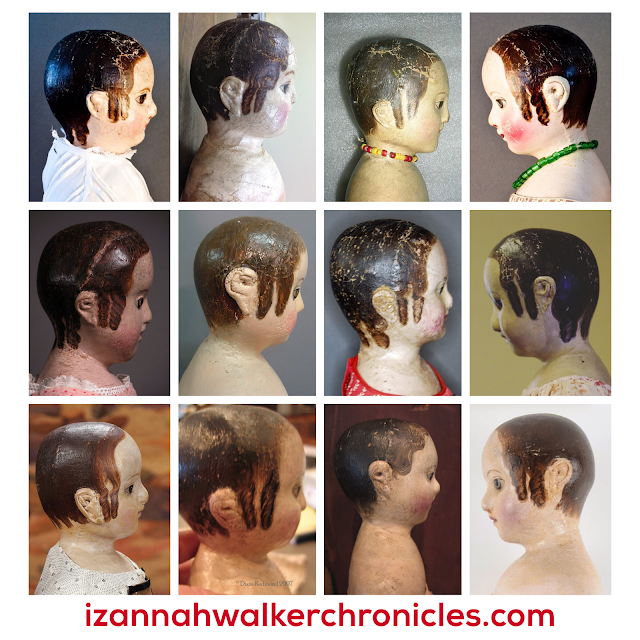 There are many different Izzie heads, they may have been molded after or directly from many sources. 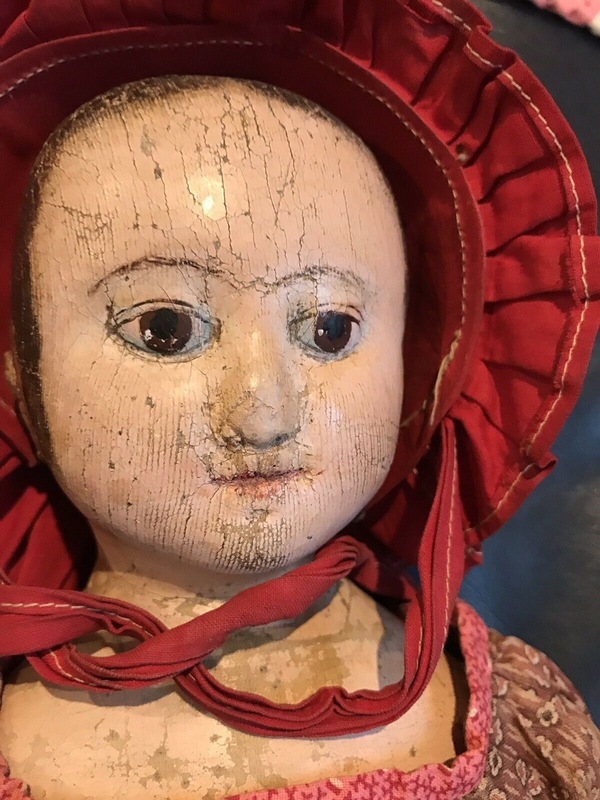 The artistry lies in her design of the doll, its body its paint job, its concept if you will. 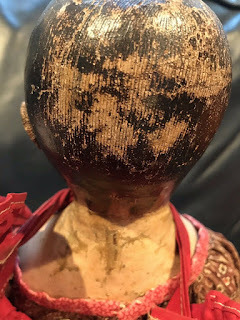 Which face or faces she took off from is not a big question to me. As you have noted, some of the English woodens with heavy lidded eyes remind you of Izannah’s work, many dolls are bound to have a lot in common, just being a child’s head. Other than totally off the wall stuff like swirling a holey bucket of paint over a canvas, there is little in art not influenced by other art before it. When designing a new car we don’t re invent the wheel as it is said. We do not see in Izannah’s dolls the same thing as the Darrow being molded after a certain identifiable parian head, and the linen heads molded over identifiable German chinas and other such exact copies, or Emma Clear reproducing dolls. 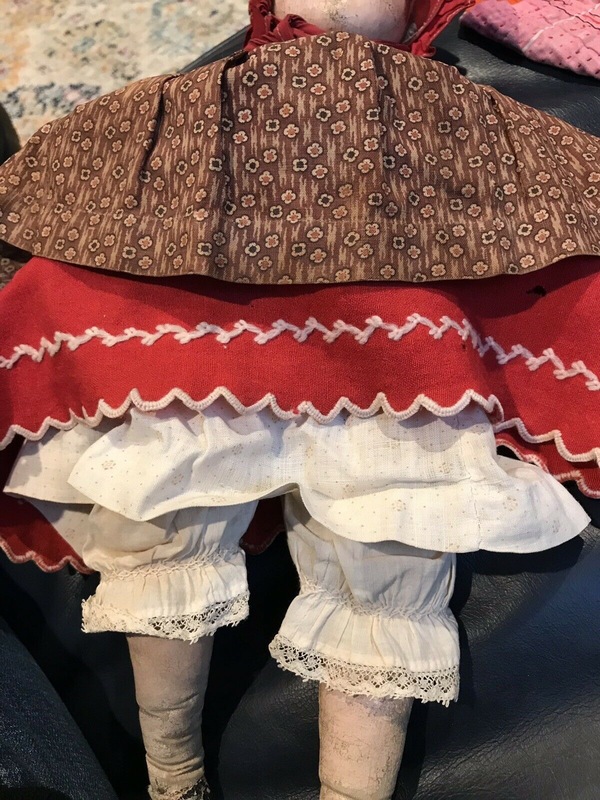 I do not think there is clear proof yet that Izannah used other dolls directly, but if so, no matter to me. What she made of them was a new thing." In that, Edyth and I agree. Even if Izannah copied a china doll exactly, she transcended the Original design with her methods. Food for thought. 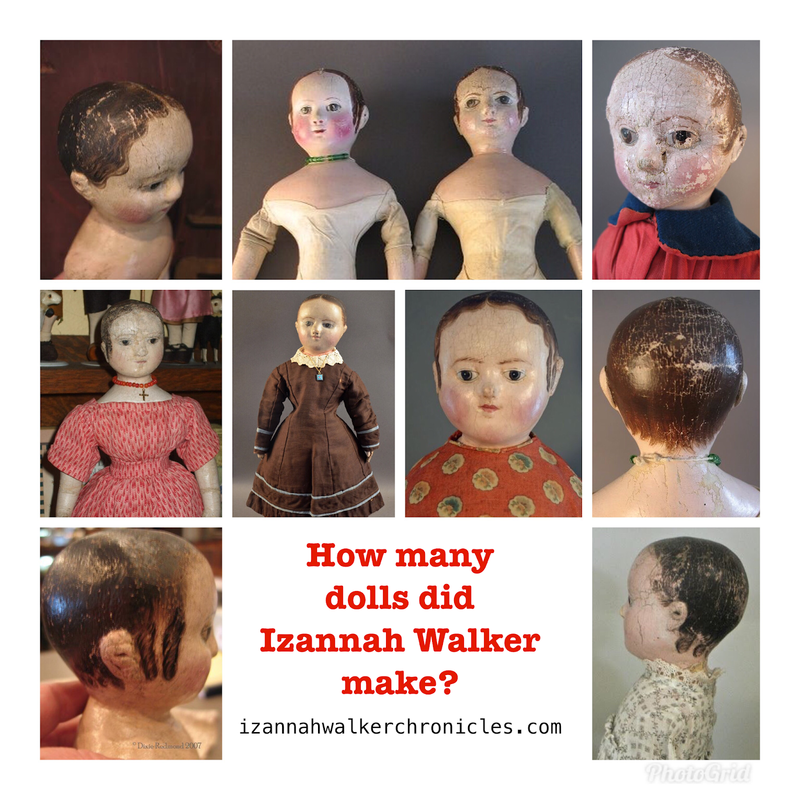 How Many Dolls Did Izannah Walker Make? 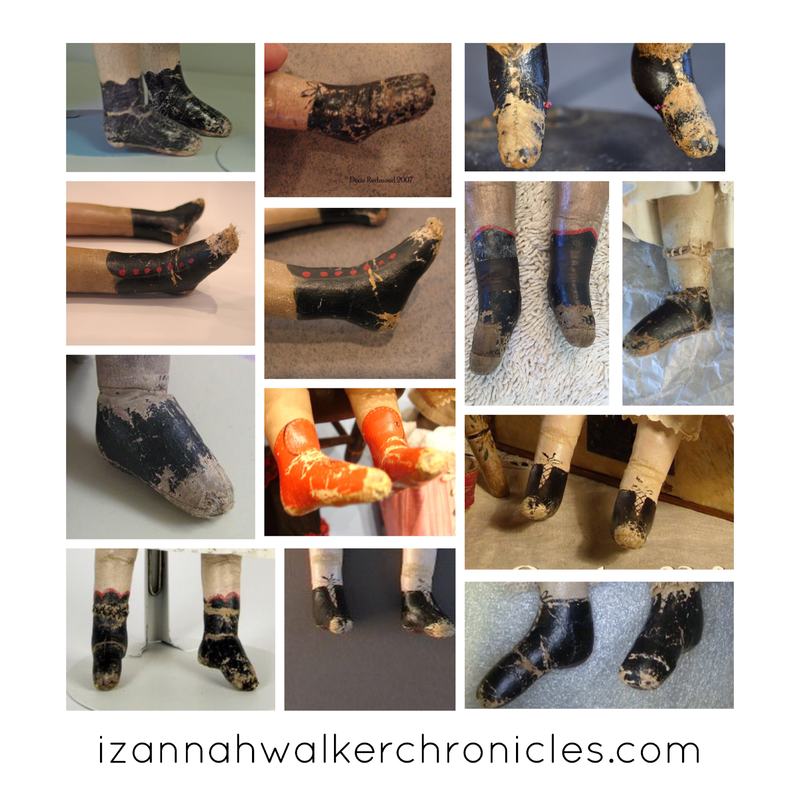 Over the years my friend Edyth O'Neill and I have discussed how many dolls Izannah might have made in her lifetime.We discussed this when we were working on our article on Izannah Walker dolls. Surely it was more than 500. 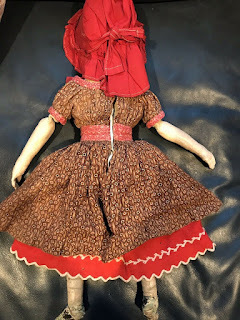 Today in the MAIDA Dolls Group this topic came up again. 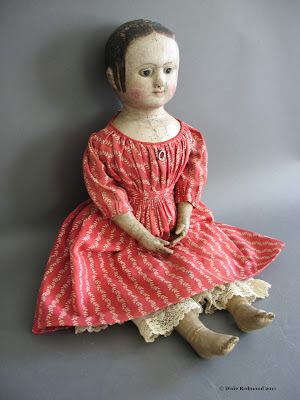 If Izannah began making dolls in the 1840's and continued through the 1870's that was a span of more than 30 years. 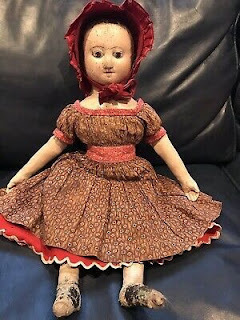 If you figure one doll made a month for 30 years, then that alone is 360. These are not simple dolls. If Izannah had an assistant making bodies and limbs, then that would at least double the output. So then the number of dolls made is closer to a thousand. If she had more than two assistants, and if she had more than one person painting, then we are talking 2000 dolls made or more. But there is SO much we don't know! 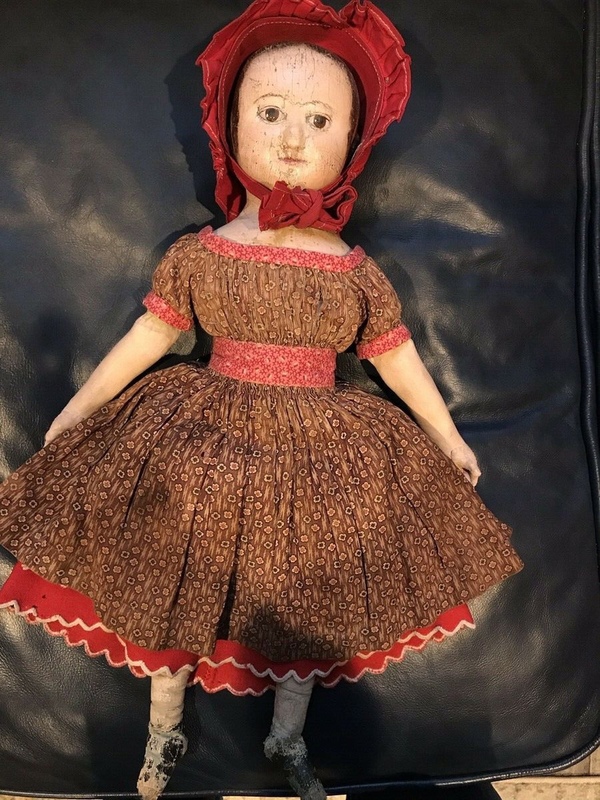 We know she was an inventor, and dolls were not her only focus. The number of helpers and assistants is really key. 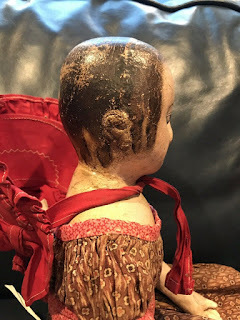 Some parts of doll making can be done by non-artists. 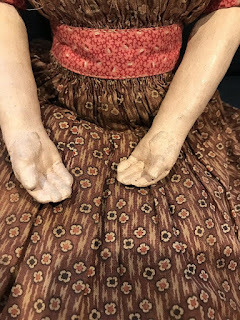 Did Izannah approach her doll making by having others make arms and limbs and torsos in a piecework way? There is surely a skill involved with sewing and stuffing dolls. This brings up the question of where artistry begins and ends. Izannah, having an engineering brain, likely would have been able to design the dolls so that pieces of it could have been done by any competent seamstress, as sewing skills were part and parcel of daily life in the 19th century. There is so much we do not know.